Training Thailand’s traditional martial art, Muay Thai and Kickboxing will sharpen your kicks, knees and punches, a challenging workout for even seasoned veterans.  Train as a real nak muay in the Venum Training Camp and meet our top coaches ! They will help you to become a true champion or simply to discover this amazing sport. Develop your striking with high-level instruction from elite coaches. Muay Thai, or Thai Boxing, is the national sport and cultural martial art of Thailand. It was developed several hundreds of years ago as a form of close-combat that utilizes the entire body as a weapon. The martial art uses stand-up striking along with various clinching techniques. Muay Thai is referred to as “The Art of Eight Limbs”; and using eight points of contact the body mimics weapons of war. The hands become the sword and dagger; the shins and forearms were hardened in training to act as armor against blows, and the elbow to fell opponents like a heavy mace or hammer; the legs and knees became the axe and staff. The body operated as one unit. The knees and elbows constantly searching and testing for an opening while grappling and trying to spin an enemy to the ground for the kill. The King of Thailand is an avid fan of Muay Thai. Since being crowned its popularity has grown more than in any other era in history. Muay Thai has progressed significantly over the past 100 years. Due to the noticable national popularity, it began to garner international recognition and exposure. In World War II, after formally being introduced to Muay Thai, foreigners named it “Siam Boxing”, as Thailand was formerly Siam. The French labeled it as “Le Sport Orient” or the fighting style of the orient. Soldiers from Europe and America would watch attentively as the Thai soldiers practiced Muay Thai amongst themselves. They were so impressed with the style of fighting that they asked the Thai soldiers to teach them the fundamentals and traditions of Muay Thai. As it became more popular internationally, the rules began to change so it could be better organized and governed like established sports such as boxing. In the 1920’s, rings were introduced to replace open courtyards, which ultimately planted the roots of modern Muay Thai. Gloves similar to those used in boxing matches replaced the old horsehide, hemp rope or leather bindings and a hard-cover groin protector was added as extra protection from brutal kicks and knees. Stepping into the modern day, our Muay Thai Kickboxing Lessons at Venum Training Camp touch on the origins for authentic training of Muay Thai, with versed battle-tested instructors.  VTC Muay Thai program caters for students of all experience levels, from complete novices to champion professional fighters, and each step along thew way you will be guided by some of the sports most experienced and respected coaches. Like traditional Kickboxing or Muay Thai gyms, at VTC each Muay Thai class will begin with a dynamic warm up, appropriate whatever move or concept being worked on that day. Our coaches provide a safe, beginner friendly but authentic experience to help you learn the ancient art of Muay Thai. Each class runs for 60 minutes and include positional sparring, heavy bag and pad-work. Head down to VTC in Summerlin Las Vegas to watch how a class runs or head straight in to a free class today! Equipment required: boxing gloves, hand-wraps, mouthguard, headgear, shinguards & energy!